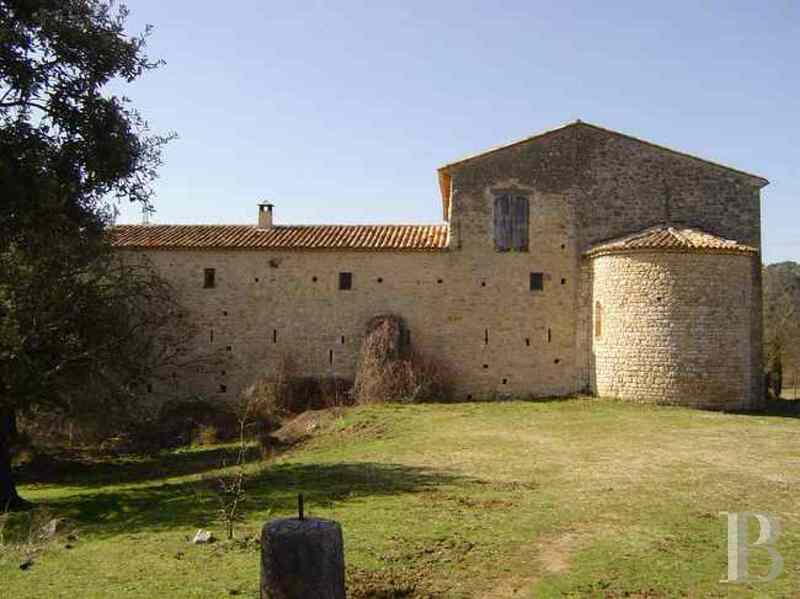 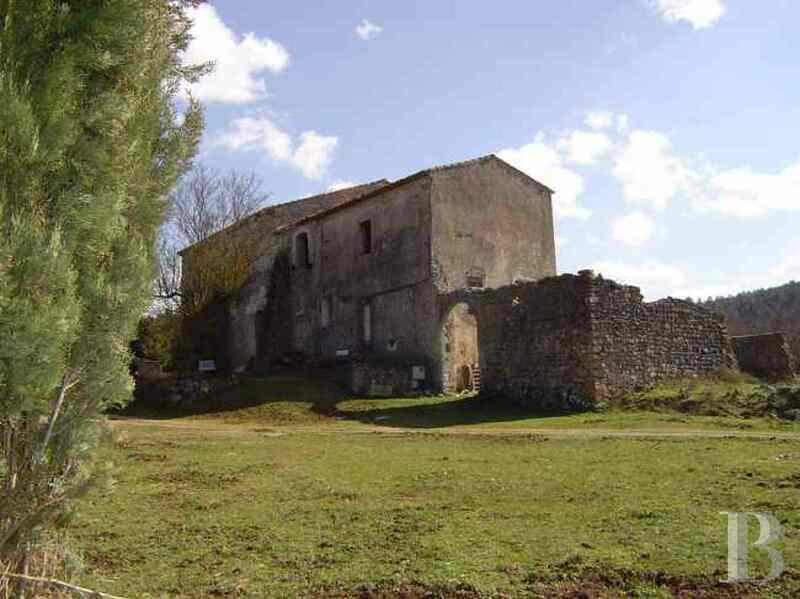 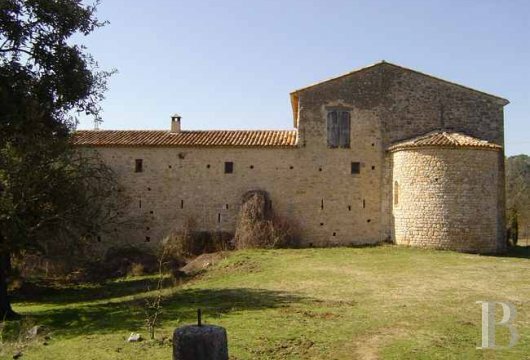 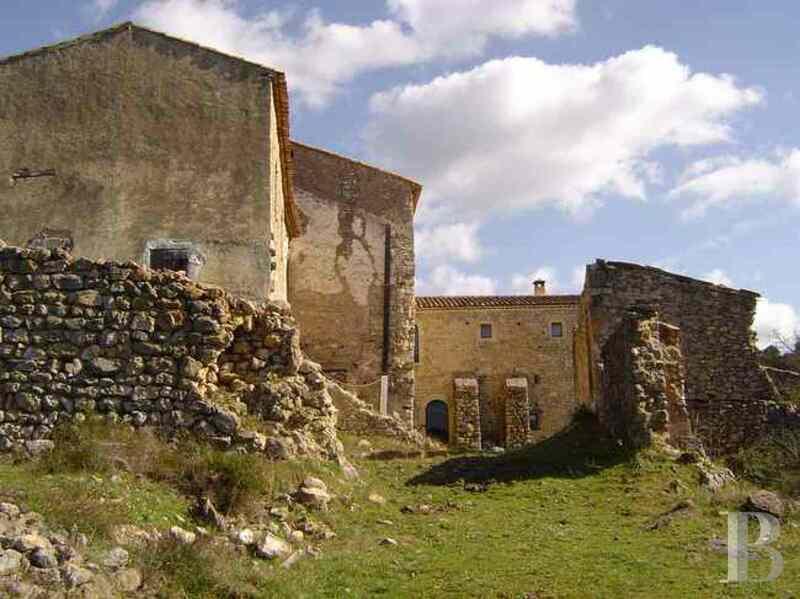 In Provence,12th century, listed Knights Templar Commandery in a 33 ha (81.5 acre) estate - property for sale France - in Provence, Languedoc-Roussillon, Côte d'Azur, Upper-Savoie - Patrice Besse Castles and Mansions of France is a Paris based real-estate agency specialised in the sale of Residences. 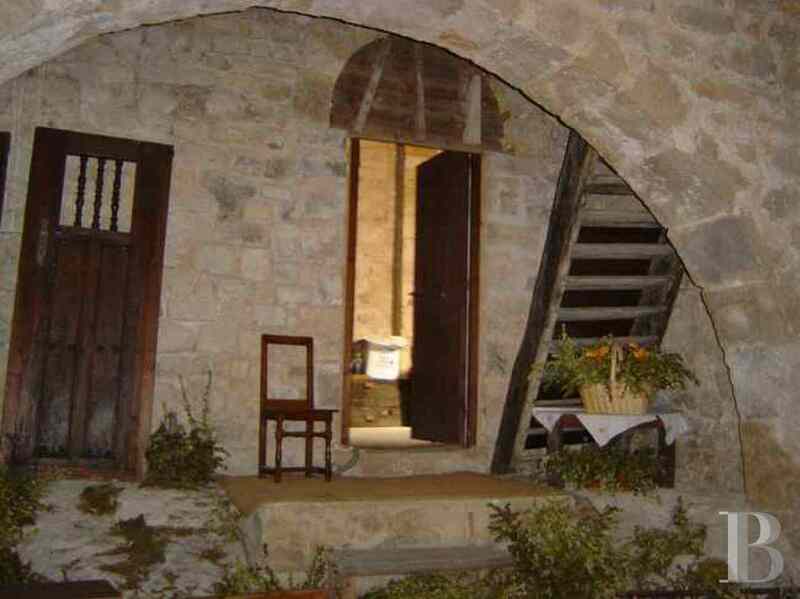 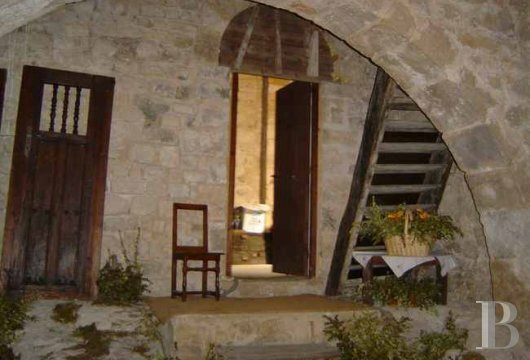 In rural Provence, with a lake and a river nearby, in the middle of evergreen oak and Aleppo pine covered hills. 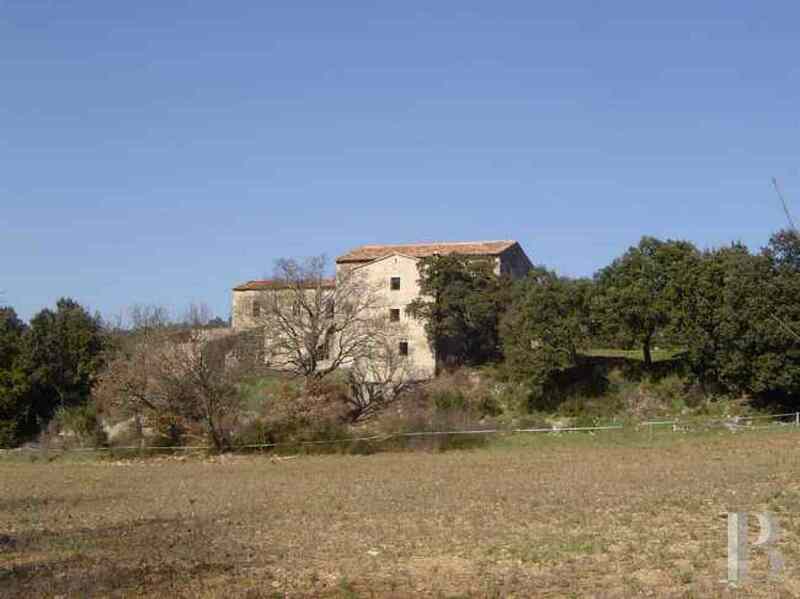 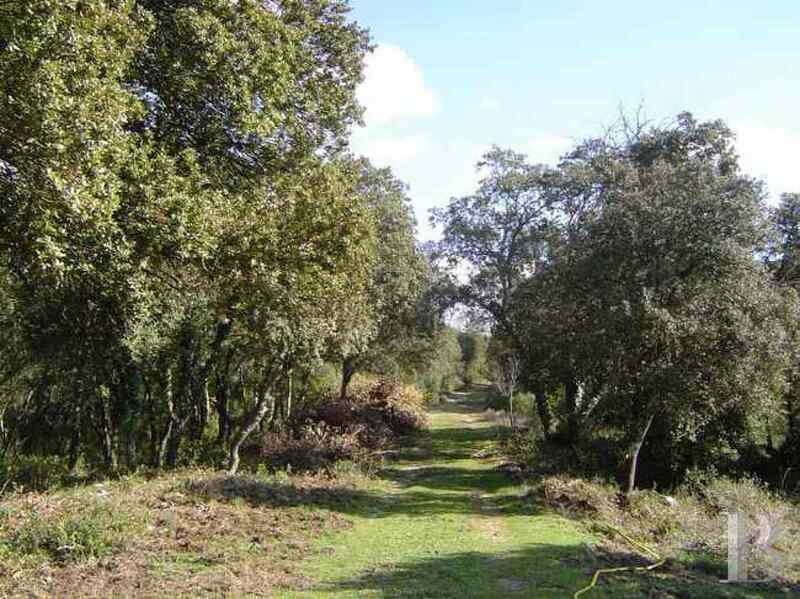 Twenty five or so miles south of Aix-en-Provence, but only 4 km (2.5 miles) from shops, secondary schools and all amenities. 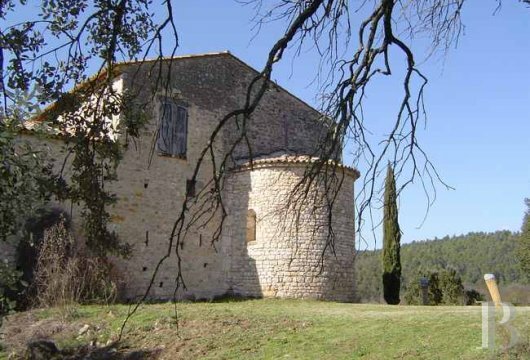 The 11th century chapel was built on a rocky spur for pilgrims on their way to the Holy Land to the east and Saint-Jacques-de-Compostelle to the west. This building is featured in the appendices of the chartulary of St-Victor de Marseille as of 1025, following a donation by Gualdrade and Geoffroy de Rians, a rich local family, to the St-Jean d’Esparron Abbey (dependent on St Victor). 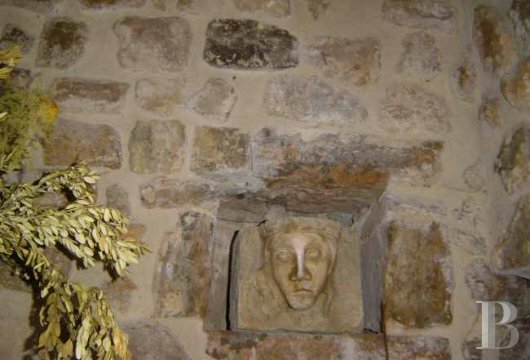 During restoration works, Roman ashlar blocks, coins and shards of pottery were discovered in a lower part of the apse. 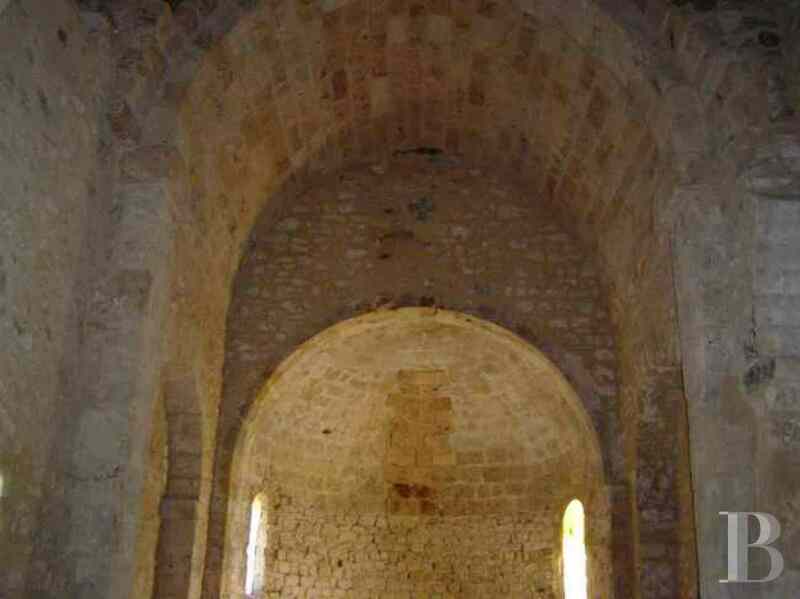 Bearing witness to a much older place of worship, they most probably dated from the 2nd to 4th century. 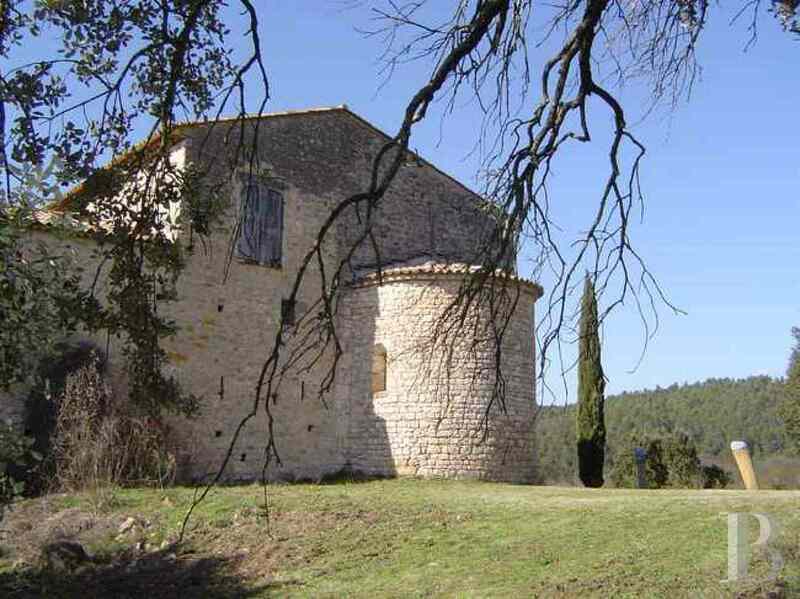 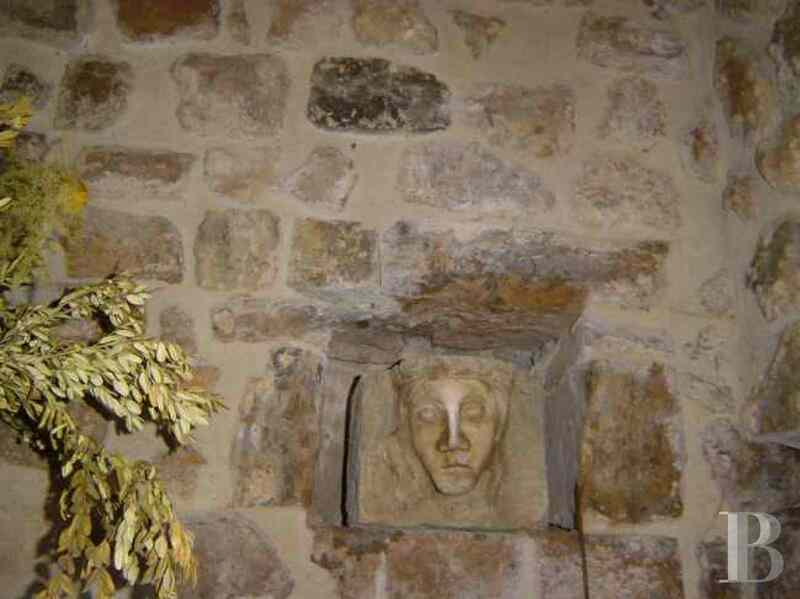 The oldest monument from the medieval period in the French Midi region, this 11th century chapel is of an exception character because of its size and the number of architectural features from this period, bearing rare witness to Romanesque art in the French department of Provence. 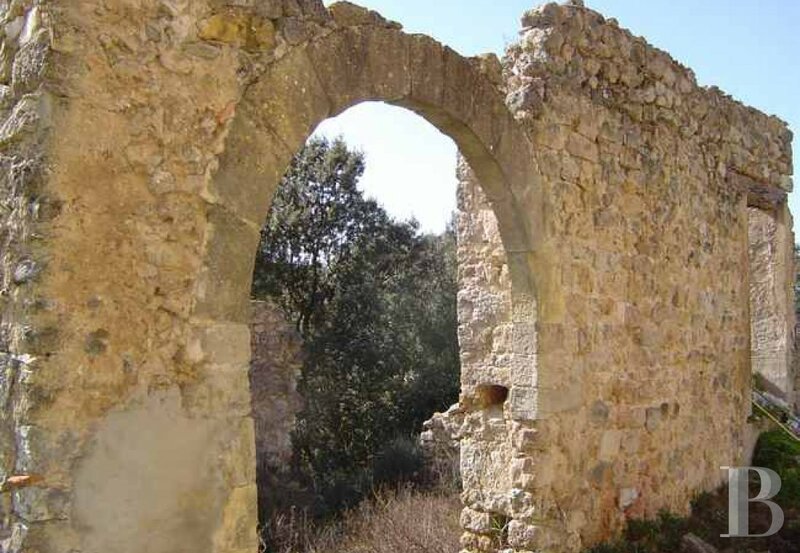 In the 12th century, it became the property of the Order of the Temple and the building was enlarged, by building on a wing to the south, an extension to the west and a perimeter wall. 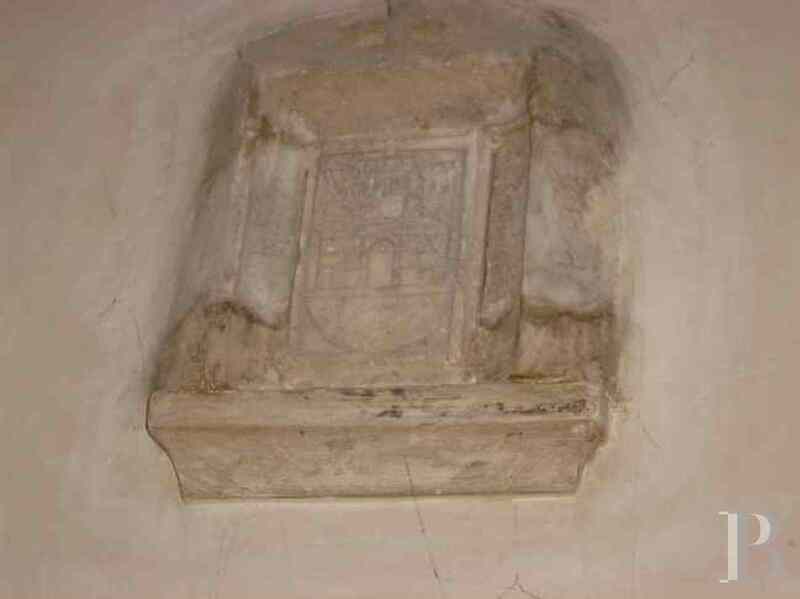 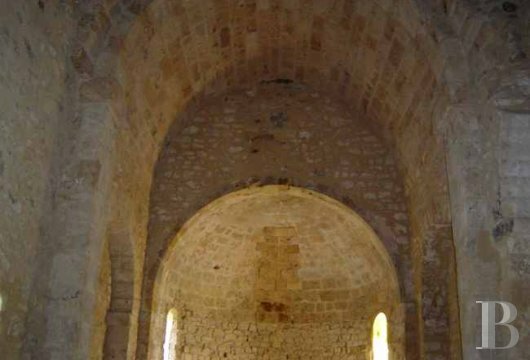 This transformation continued until the beginning of the 14th century, making this a well-known resting place for pilgrims throughout this period. 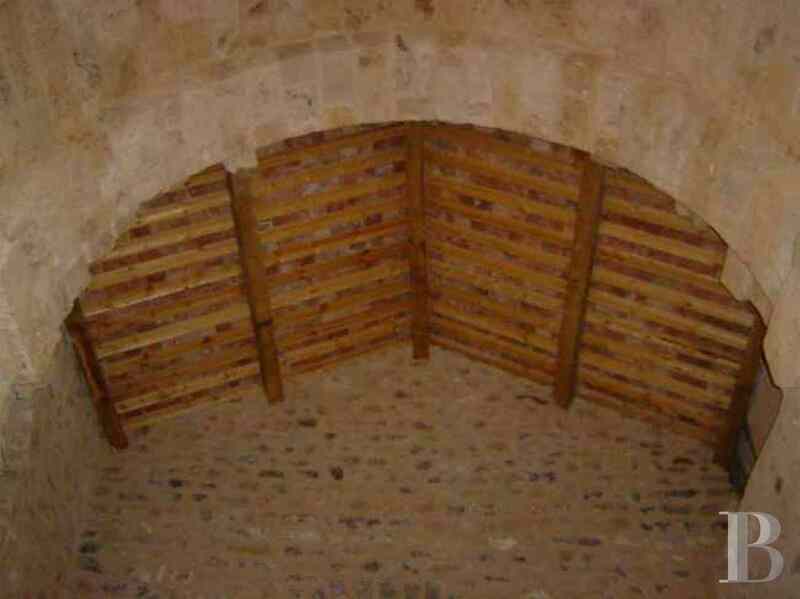 The buildings, set at right angles to one another, span a net floor surface area of approx. 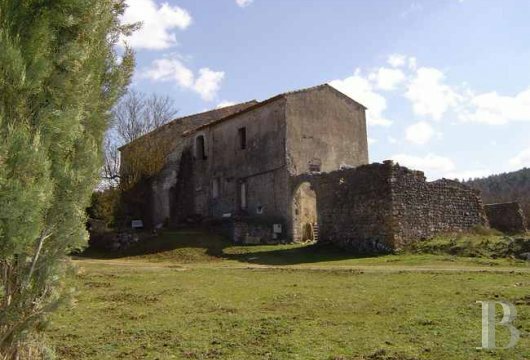 500 m² (5,382 sq ft) including the chapel (100 m² / 1,076 sq ft and 8 m / 26.2 ft high). 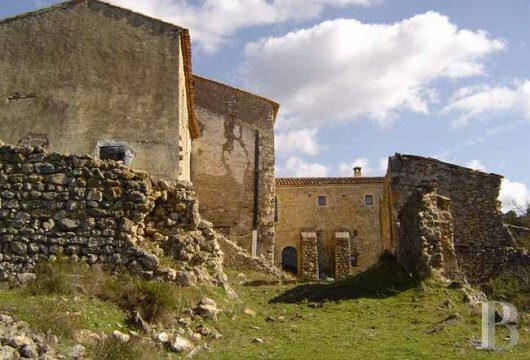 Works were carried out on the inside, creating the current 200 m² (2,153 sq ft) of living space and preparing for the conversion of the remaining surface areas. 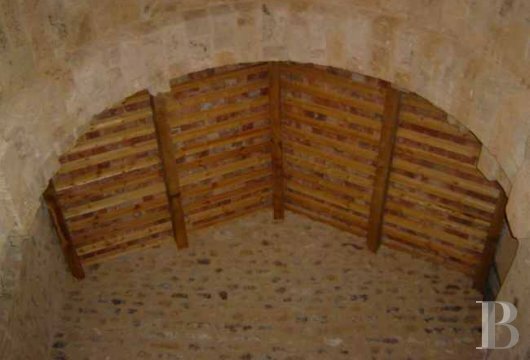 All the buildings have been listed by the French Historic Monument Society since 1984, the restoration of the entire roof and the repointing of the main walls by injecting milk of lime were part of meticulous restoration works supervised by architects from the “Bâtiments de France”. 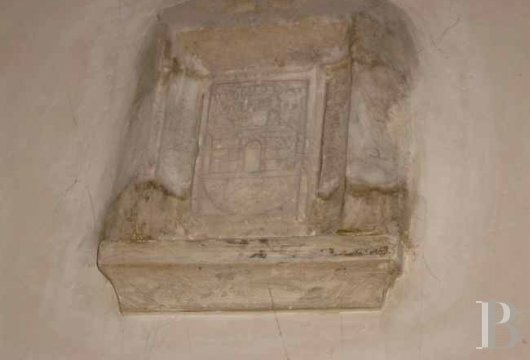 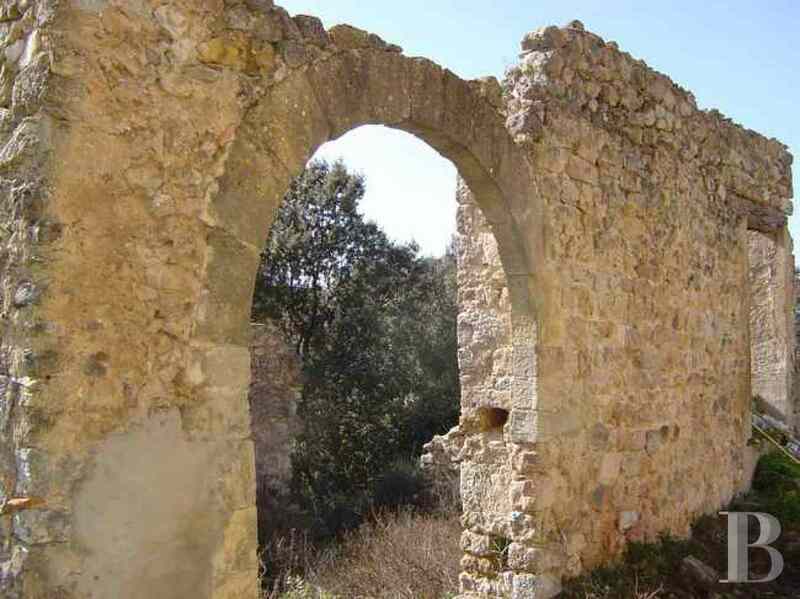 The authenticity of this site of almost 1,000 years old deserves the enthusiasm of people wanting to continue the restoration works and, at the same time, to perpetuate the memory of the Knights Templars and the hotel and catering tradition of this Commandery situated on the pilgrims’ route. 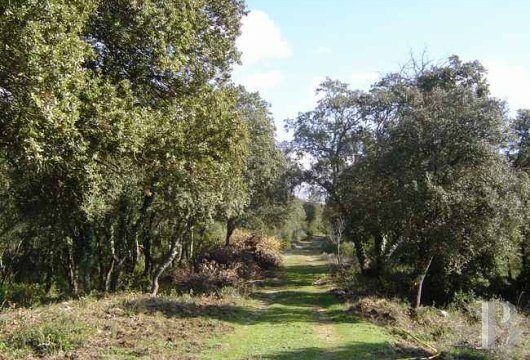 It is a shame that a main road passes so close to the property, but how could the Knights Templars have imagined that people would one day move from place to place in cars?